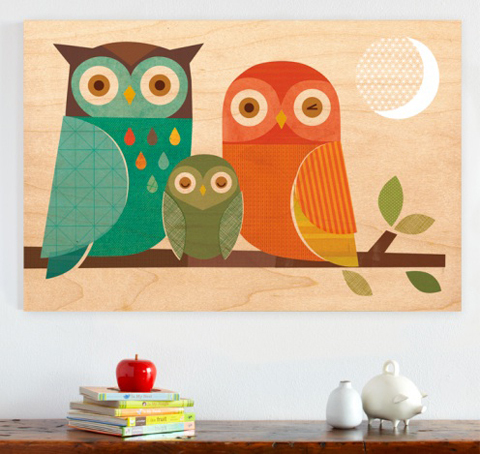 … and the Owl Family by the infinitely talented artist and designer Lorena Siminovich. These both measure a generous 24″ x 36″ and would make a great statement on a feature wall. The images are printed directly onto FSC certified solid birch wood that is mounted on wooden cradle board and is ready to hang. You can enter to win your choice of a Petit Collage Jumbo Panel via the rafflecopter app below. 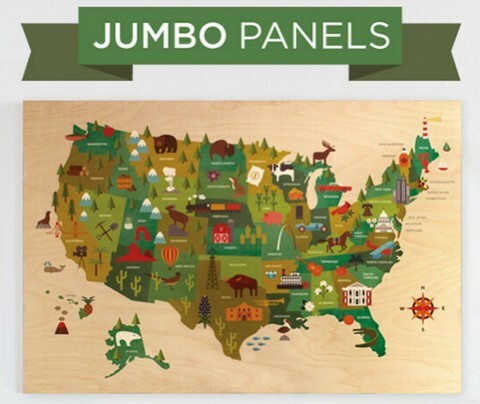 You must leave a comment letting us know which Jumbo Panel you would choose if you won. There are a few additional entry methods you can take advantage of to increase your odds of winning. This sweepstakes is open to US residents over the age of 18. It starts right now and ends March 18th, 2013 at 12:01 am EST. Thanks to Petit Collage and good luck to you! I fI won, I might choose the Owl Family! I would choose the elephant one for my sister for her bday as she collects elephants and would absolutely love to have this and it’s simply adorable.